Stena Line operates ferry services in Denmark, England, France, Germany, Holland, Ireland, Latvia, Northern Ireland, Norway, Poland, Scotland, Sweden, and Wales. As well as comparing prices and times for Stena Line, we'll also show you results for alternative operators, such as Color Line, Fjord Line, Oresundbron and more (depending on the route you choose) to help you get the whole picture. With Stena Line, you can book ferries to Belfast, Cairnryan, Cherbourg, Dublin, Fishguard and more. The most popular crossing is Belfast (Northern Ireland) to Cairnryan (Scotland) with 5 crossings daily. Departures are available between 3:30am and 11:30pm. Whether you take the Stena Line Belfast Cairnryan route, the Stena Line Holyhead Dublin ferry, the Harwich Hook of Holland service or any other ferry route from Stena Line, you are bound to have a relaxing and enjoyable trip with this famous international ferry company. You can book your cat or dog on board a Stena Line ferry with AFerry.Just choose your route and then select the number of cats or dogs you are sailing with. Your pet is not allowed onto the passenger decks onboard the Dublin/Dun-Laoghaire and Holyhead & Rosslare-Fishguard or the Belfast-Liverpool route and must remain in your vehicle. Small dogs are permitted on board on the Belfast-Cairnryan route if they are secured for the duration of the crossing in a pet traveller case. However, this is at the discretion of Stena Line personnel. Foot passengers may bring small pets in a pet traveller's case, but they will be placed on the car deck for the duration of the journey in the routes above, as no animals are permitted in the passenger areas on board. On the Belfast to Liverpool route pets are not permitted in cabins or other passenger areas onboard. You must book a dog kennel which are available on the Promenade Deck and allow access to your pet throughout the crossing. Please do this by calling our customer service department prior to booking. Use the details in the contact us section of the site to do this. If you want to travel in luxury and style to your destination then you should look no further than Stena Line ferries. 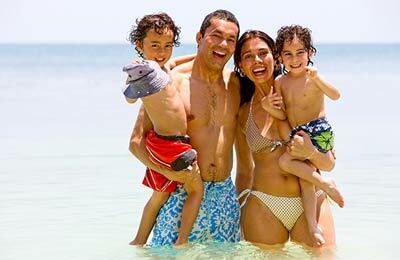 As one of the leading ferry lines in the world, you can rest assured that you'll receive a quick and hassle-free experience onboard their magnificent ferries. Many people come to us for Stena Line ferries as we offer low fares and fantastic destination times. When a person travels onboard a Stena Line ferry they can travel to the UK, Holland and Ireland. StenaLine are an incredibly popular ferry company as they are dedicated to providing unrivalled hospitality, and their exquisite interior will make a traveller feel right at home. 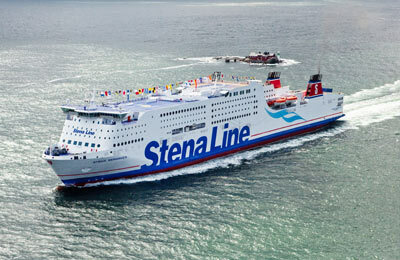 Whether you're travelling to Wales, Ireland or Holland, you should make sure you come to AFerry for StenaLine tickets. You can book a Stena Line ferry to Belfast, Liverpool, Dublin, Dun Laoghaire, Fishguard, Harwich, Holyhead and many more fantastic destinations. Simply take a look at our magnificent destination timetable below for the best times and the latest Stena Line offers. You should also check out our StenaLine Scandinavia page for ferries to this wonderful Northern European region. If you've been searching the internet for the very best Stena Line offers then you'd be crazy not to come here to AFerry. We provide competitive and affordable Stena Line ferry tickets which our industry rivals would struggle to compete with. Whether you are travelling on foot or by car, we are confident that you won't find better Stena Line offers elsewhere. We also offer a range of Stena Line crossings so you can travel at a time that suits you. So, if you want to book Stena Line Ferries then you should make sure you come here to AFerry.